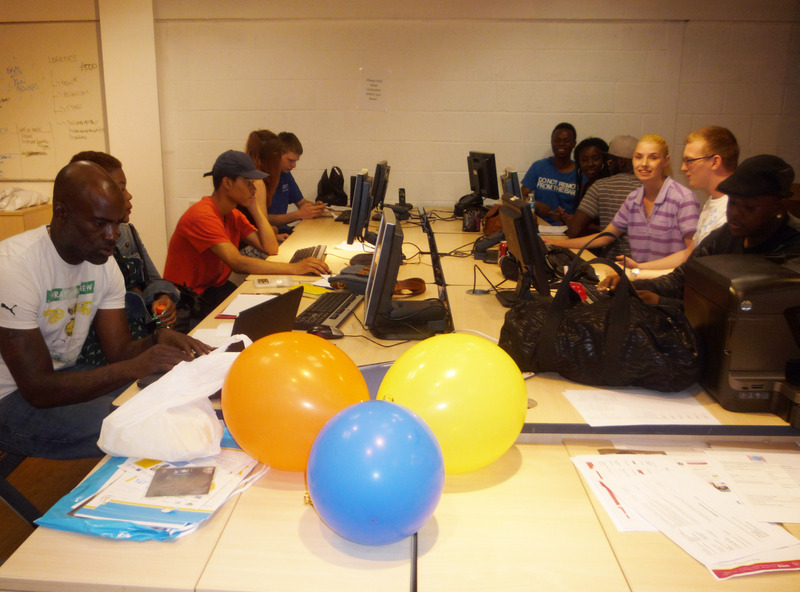 The focus on promotion continued in the lead up to Positive Summer Vibes, as we passed the middle mark of the week. With just two days left until the event, it is essential for us to get the word out there and ensure that as many people know about the event as possible. Ruth Daniel from Agencia and myself chased the local press, which proved fruitful, as they said that they would come to cover our event. 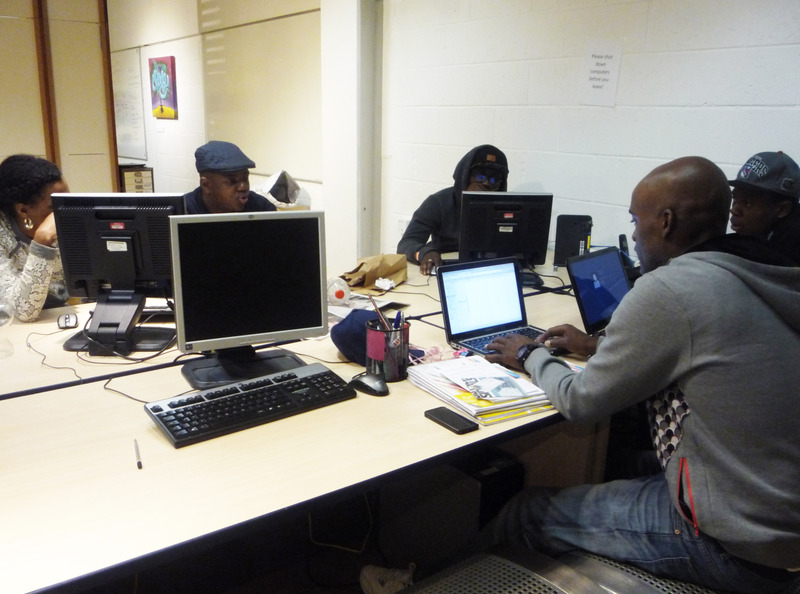 Hip Hop artist, Rodney P, who has been leading out on the Creative Futures programme really pushed the social media marketing aspect, which can be a powerful tool for reaching out to young people. We also continued sending out tweets and posting on the Facebook page, which will maintain our presence in the cyber world. It was another day for getting out and talking to the public, as we attempted to conquer Croydon Town Centre. Some leaflets were left on display in various stores and establishments, while others were given directly into the hands of young people. There was a relatively positive response and we hope to see the young people come out in large numbers to kick of the summer holidays. Our team also continued to make the final preparations to make sure that our event will be a success that young people will not only enjoy, but gain a lot from. This is a free event for the community, which has enabled us young people to develop certain skills, gain new ones and build up our professional (and social) networks. 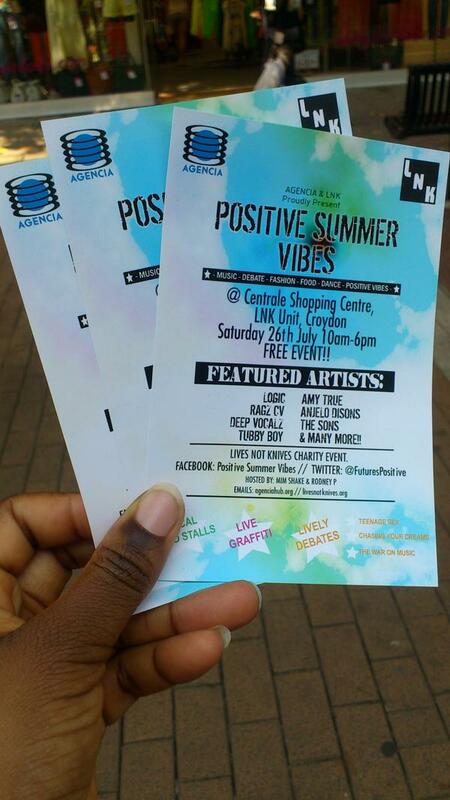 We would love for you to come and support Positive Summer Vibes this Saturday at the LNK unit in the upper mall of Centrale shopping centre, from 10am until 6pm. Also remember to stay connected with us by following @FuturesPositive on Twitter and liking the Positive Summer Vibes page on Facebook. Keep on sharing the love.